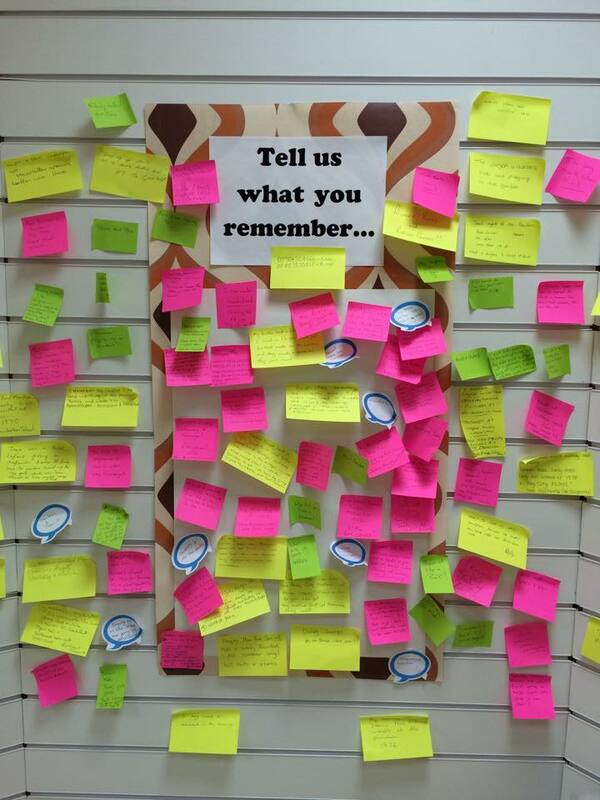 Saving the 70s – I remember… | The Dacorum Heritage Trust Ltd.
During our Saving the 70s exhibition in a empty shop unit, visitors had the opportunity to write up what they remembered from the decade. “I remember Lord Mountbatten tell Sea Shanty’s to all the girls at Corner Hall and embarrassing us” November 1970 at the new Mountbatten School. “I also remember Dinky toys.” Derek.